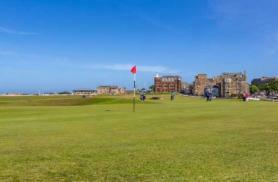 Superb lounge on the first floor gives outstanding panoramic views of the St Andrews Old Course. Patio doors lead you out onto the viewing veranda to take in the breathtaking scene. 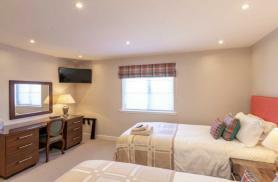 This room has very comfortable seating, a reproduction oak centre table, Sky television and video. 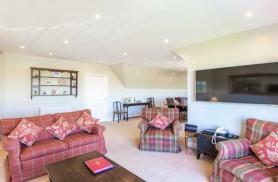 The spacious dining area off the lounge has two windows to the north overlooking the Old Course. The dining table with ten chairs, dresser and serving table are made from reproduction oak and are complemented with crystal chandeliers in both areas of the room. 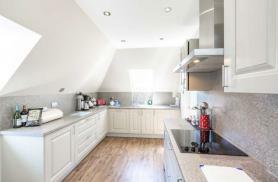 The room is accessed from the top landing and has a connecting door through to the kitchen.